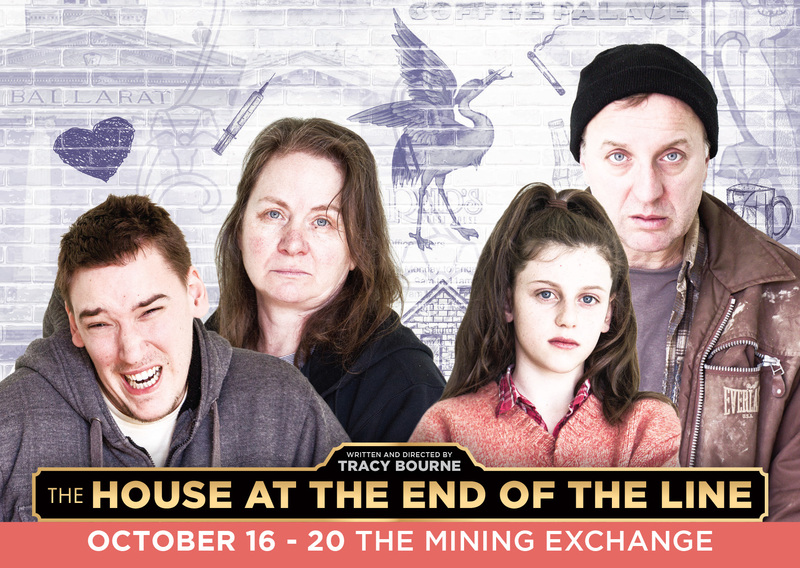 The House at the End of the Line was performed at the Ballarat Mining Exchange from 16th – 20th October, 2013. Over 500 people attended the show, including people who rarely attend the theatre. Just came back from seeing The House at the End of the Line. I wish I had seen it the first night cause I would have gone back every night. Unfortunately, tonight was the final night, but if it is ever on again or you get to see anything else that Tracy does, please go, cause it caused me to have an emotional reaction that I don’t usually have at the theatre, and I will be thinking about it for a long time after. We hope to remount this production in Melbourne, later in 2014. Homelessness is just outside your front door. A play based on the lives of residents at Reid’s Guest House, Ballarat. Featuring talented local actors: Thomas Banks, Rose Bray, Verity Higgins, Andreas Litras, Lachlan Martin, Kate Suter, Michael Treloar. Angela has lost everything; partner, baby and home. She is struggling to overcome her addictions and needs a safe place to stay until she gets on her feet again. Gabriel, is a young man in his early 20s with cerebral palsy. He has chosen to live at Reids’ because he likes to party late on Friday and Saturday nights and doesn’t want to live where there is a curfew. He has friends at Reids who look after him and laugh at his jokes. Ranger has lived rough for many years, until he comes across Bea, a tough street-kid who tries to turn him into her father. The House at the End of the Line tells the true stories of people who are often ignored, and shows that any one of us could end up homeless. All it takes is a bit of bad luck.